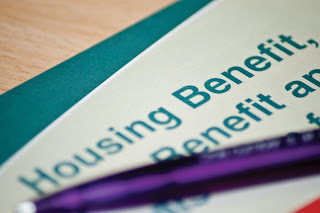 Sunderland Property Blog: Are Over 60% Of Sunderland Private Tenants Really On Housing Benefit??? Are Over 60% Of Sunderland Private Tenants Really On Housing Benefit??? This might make the Sunderland figure a little easier to take but even so I didn’t expect the Sunderland figure to be quite so high! I know many Landlords have suffered late rent payments with Tenants on Housing Benefits, especially since 2008, when local authorities started paying Housing Benefit to Tenants rather than directly to the Landlords, but you can’t ignore them given Housing Benefit Tenants make up more than half of the Sunderland rental population! ...and if a property is not to a standard that will attract a working tenant, why isn't it? ?